a few months back, 3-year-old Gomaram, son of Omaram, was diagnosed with a brain condition called Hydrocephalus. It is a condition in which there is an accumulation of cerebrospinal fluid (CSF) within the brain and this typically causes increased pressure inside the skull. There may be a rapid increase in head size, vomiting, sleepiness, seizures, and downward pointing of the eyes. He had to undergo a brain surgery and is now in the ICU for further treatment. 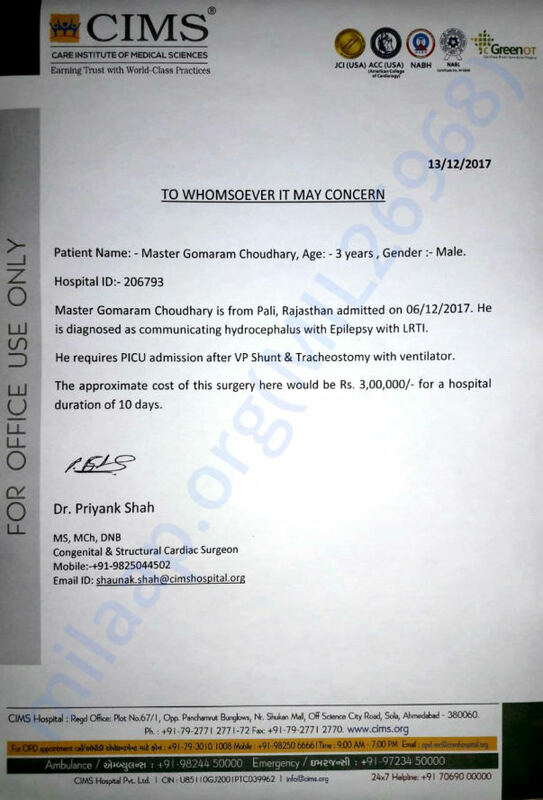 The total cost of the surgery and treatment is 3 lakh Rs. However, Omaram is unable to afford this amount and needs our help to save his son. We have some unfortunate news to share. The Gomaram passed away. His parents are devastated. 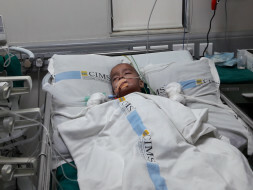 He underwent the surgery but developed post-surgery complications and infections and in spite of the doctors best efforts, he could not make it. This tough brave kid had fought very hard. The funds will be utilized for his medical expenses so far. Please do pray that the family finds strength in this time of need and thank you for all the love and support you have shown this little one.